Wasn't this supposed to save us money??? ■ "In general, a group health plan or group or individual health insurance coverage is considered "grandfathered" if it had members enrolled before March 23, 2010 ... [but] new policies sold in the group or individual market after March 23, 2010, are not grandfathered, even if the product was offered before March 23, 2010." ■ "If a plan made changes before the interim final rules ... those changes would impact the plan's grandfathered status, the plan has a grace period within which it can revoke or modify these changes to maintain its grandfathered status." Rotsa ruck with that: what carrier will let you go back and retroactively change your plan? So what will trigger that dreaded "no grandfathering for YOU!" outcome? ■ "Increasing coinsurance by any amount above the level at which it was set on March 23, 2010"
So if your employer raised the group plan's co-insurance limits to offset the last renewal, or you did that with your individual plan, then you're SOL. And this may be a bigger problem than you think: how many employers tweaked their plans this way before they had a clue that this would screw them up going forward? There's also a litany of other plan changes, based on obscure formulae that could only come from Poppa Washington, that could trip you up. The bottom line is: Most folks won't be able to keep the plan they have. Of course, medical insurance is only one piece of the benefits pie. A lot of employers also offer dental coverage, which is not subject to the draconian provisions we've been discussing. In Ohio (and other states), new rules have been promulgated for the gorup health market to make sure everyone's on the same Obamapage. That means, for example, that your 26 year old "child" is still eligible to stay on your group health plan, but not necessarily the dental cover. From Superior Dental Care, we learn that Ohio's "new regulation applies only to medical insurance carriers; dental is not included." [emphasis in original] So unless you're a full-time student or an "IRS dependent," you're off the dental at age 19 (although groups may choose to set that upper limit lower). It's nice to see at least one segment of the industry that refuses to cave. Wenchy hosts this week's HOT roundup of risk-related posts. Do check it out! "Some Anthem Blue Cross and Blue Shield members in Ohio will receive a credit and a premium reduction." According to the article, some 30,000 Ohio policyholders are affected, and can expect to see a $20 or so credit on their September premium notice. I'm a little confused about the math here, though: my calculator says 30 thousand members times $20 a pop comes to $600,000. But the article says that the "total amount of adjustments is about $6 million." Apparently, that includes legitimate rate increases that Anthem has agreed to forego (at least for now). The carrier apparently cooperated with the Department, and has agreed to a Consent Order (available here) resolving the issue to the Department’s satisfaction. According to the press release, the overcharge affected pretty much every kind of individual health insurance plan Anthem currently sells. If you had an individual plan with Anthem in the past year or so, it'd be worthwhile calling them to see if you're eligible for the refund. Both Humana and United HealthCare have alerted me (via email) that the new Temporary Early Retiree Reinsurance Program (TERRP) is up and running. Another little under-the-radar ObamaCare© nugget, this one funnels some $5 billion to insurance carriers, via early retirees participating in their erstwhile employers' group health insurance plans. As a side note, ObamaCare©'s certainly turning out to be quite the cash cow for those evil, greedy, heartless insurance carriers, isn't it? Funny how that happened. To be eligible, these lucky first adopters, er...retirees must be between 55 and 64 and not Medicare-eligible. The subsidy also includes their spouses (and surviving spouses) as well as dependents. "The objective of the legislation addresses erosion of benefits for early retirees through making health benefits ... More affordable to both members and employers ... [and] Accessible to more Americans than they would otherwise be without this program." How nice. Sure it wasn't just to keep those premium dollars flowing to UHC, et al? Dr Elaine Schattner (no, wrong Shatner) presents this week's Grand Rounds. It's short, sweet and focused like a laser-pointer. There's some great humor interspersed with remarkable gravitas. It has been about 3 months since Obamacrap was signed into law and for those playing along at home, here is a look at how we are doing so far. The folks at ABC News provided this recap. Some deadlines have been met, while others have not. Nothing unusual from a government perspective. They are good at over-promising and under-delivering. Some of the changes have already raised red flags. Small businesses have expressed concern about the "grandfather rule," designed to keep insurance plans that were in place by March 23 remain with minimal changes. The new rule is designed to discourage companies from making major changes to their insurance plans, but small businesses often change their plans and doing so would jeopardize the "grandfather" status of their plan. This follows the logic of, if you like your plan you can keep it, unless of course we (that would be the government) decide we don't like that plan. In that case, you are screwed. The administration has to coordinate with states to establish the temporary high-risk pools that Americans can start enrolling in by July 1. But that deadline could slip as several states remain undecided about how they will proceed forward. The states were invited to participate, not required. If they opted out the federal government would establish and run the plan. So where are the details of the national risk pool? Do I hear the sound of crickets chirping? June: Insurers announced they would no longer rescind coverage of patients who get sick. Of course the health insurance companies still have the ability to rescind coverage in the event of fraud or misrepresentation. This is the way it was before Obamacrap, so no change here but it must sound good to those who follow the main stream media. July: A tanning tax of 10 percent takes effect. Gotta get those tax increases in. Fortunately it is summer so tanning salons probably don't have that much foot traffic right now. You gotta wonder if the dim lights in Congress stay up late trying to figure ways to create new taxes. Aug.: Americans with pre-existing conditions can start enrolling in the high risk pools. Who moved the goal posts? It was July. Sept.: Health insurance companies will be prohibited from dropping children with preexisting conditions, adults with preexisting conditions and eliminate lifetime limit co-pays. For those who have not been paying attention, and apparently there are quite a few of you, health insurance companies never could drop children or adults with pre-existing conditions. As for the lifetime co-pays that are going to be eliminated, I will need to go back to class. I am not sure what a lifetime co-pay is. Never seen it in a policy. 2011: Louisiana specifically will receive an expansion of $300 million in Medicare funding from the federal government. Part of the Louisiana Purchase backroom deal to buy votes on Obamacrap. I don't recall Medicare funding being part of the deal. Could have sworn it was Medicaid. 2014: Employers would also be required to provide coverage to their workers, or pay a fine of $2,000 per worker. You know the folks with arm bands and green eye-shades are already at work crunching numbers. Let's see, pay a fine of $2000 or continue to provide premium assistance for employees of $5000+ per year. The folks in DC weren't sent their for their brain power, but then, some of you already knew that. Sometimes I just have to let off steam. I am sure it is a full moon, or there is something in the water. There must be some logical explanation for the content and tone of the phone calls I have received just today. One lady called for health insurance quotes. She didn't like the way I answered the phone, so she hung up. That 10 second or so exchange saved me a lot of frustration so no big deal. Another person emailed about her challenges in finding health insurance. She gave enough detail that I knew she was going to have some challenges and included her phone number. I took that as an invitation to call, so I did . . .
She proceeded to tell me how messed up the health insurance system is, tell me she has already applied and been turned down and then asked my opinion of a short term medical plan. When I told her the STM plan would not cover her pre-existing conditions she launched into another tirade about how "the health insurance system" is unfair. I let her continue, and just waited on her to get over it. When she was done, I asked if she wanted my help. Her response was she already knows what the health insurance companies will do to her and all she wanted was for someone to help her. I told her no one, including myself, could help her. By now I am thinking this is a good time to pour a glass of wine but it is just barely 10 AM so I will wait. The most recent one called last week for advice. She is what I call a drive-by prospect. Hit's me with a few questions about health insurance then is gone. I finally got her pinned down long enough to get some details on her medical history and told her I would pre-screen her with several health insurance companies to see which ones might make the most favorable offer. This took me about 45 minutes to gather the data and put it together in a concise format then send off for a response. Over the next 24 hours I received feedback from several carriers. These were summarized along with my suggestion and sent off for evaluation. An hour or so later she called, said she was on the carrier site and could not figure out which plan I suggested. In my email, I only provided one plan. The email contained a summary as well as product brochure and links to the PPO network. There was nothing to be gleaned from the health insurance company site that was not already in my email. After a few minutes of discussion she said she wanted to look over the plans and would get back to me. Some time later she emailed and said she would call on Monday (today) to complete the application process. As with all my clients, I offered to let her fill out a paper application, send to me for review, and then I would convert it into an electronic application. It is more work for me, but this way I know what information is submitted for underwriting and know in advance. She did in fact call, but after 10 minutes she said she just wanted to complete the application by herself. I sent her a link and waited. About an hour later I received notification she has in fact completed the application. She put information on the application that was ambiguous about one condition, over-stated another medical condition (based on what she had told me last week) and completely ignored another that we discussed last week. I doubt she will be pleased with the offer once underwriting is complete. Some days I think it might be best to let the phone ring and just ignore email requests for help. In retrospect, this is probably one of those days. From personal experience, I can attest that seeing a loved one die from an incurable illness is no picnic. And the ethics of "end-of-life care" are beyond the purview of this blog. But I am also a big believer in choice, and in honesty when being presented different options. One of my major issues with ObamaCare© is the implementation of death panels; when one's choices become delegated to nameless, faceless, unaccountable bureaucrats, then one ceases to actually have any choice. But it's more insidious than just "passing the bill:" it's also the willing complicity of our mass media in perpetrating that fraud. "The doctors finally let Rosaria Vandenberg go home ... That precious time at home could have come sooner if the family had known how to talk about alternatives to aggressive treatment." Agreed. One of the major benefits of consumer-centric health care is the removal of that "wall" between patient and provider, empowering the consumer of health care to understand the plethora and impact of various choices. "Americans increasingly are treated to death, spending more time in hospitals in their final days, trying last-ditch treatments that often buy only weeks of time, and racking up bills that have made medical care a leading cause of bankruptcies." That's sleight of hand that would make Houdini blush. The fact is, we spend more because medical care costs more. The sleight of hand comes from the easy - and entirely deceptive - segue into a discussion of the economics of that care. Once it becomes "all about the money," then the moral choice is no longer relevant. And when it's about a bureaucrat deciding whether or not your 32 year old wife may even have the choice of these treatments, then it's even worse. And let's dispense - again - with the long-since-debunked canard about "medical care [as] a leading cause of bankruptcies." This has never been true, yet it's the 'go-to justification' for everything from withholding treatment to passing ObamaCare© itself. It's also another way to inject economics into a debate about life and death. Are financial considerations relevant? Of course they are, but they are not the deal-maker or -breaker here. Have you seen the specs for the new ObamaPool(s)? Well, don't feel bad: neither has anyone else, despite the fact that they're required to be up and running in less than a month. You need health care, and you were told you'd have it "any day now?" You mean like no exclusions for pre-existing conditions for folks under 19? Sorry, but that doesn't really take effect right away. What about that pesky lifetime limit on expenses? Certainly that's going "live" in September, right? Nope. Sorry! Well, of course the rules on "Arbitrary Rescissions of Insurance Coverage" (which are really no different than those currently in effect in all 57 states) will become "the law of the land" come September 23rd, right? Um, how do I tell you this? In a word: No. But I thought "People are dying, we have to pass something - anything - right now!" BREAKING: Thanks to FoIB Rick B, we've just learned that the State of Ohio "plans to designate Medical Mutual of Ohio as the non-profit entity that will operate the temporary high risk pool program for Ohioans, as created through the federal Patient Protection and Affordable Care Act, in order to provide uninsured people with pre-existing conditions the opportunity to purchase more affordable health insurance." They'll have about $150 million top play with [ed: look for that to be gone toot-sweet]; no word yet on benefits or premium structure. They do provide this handy number for Bereft Buckeyes to call: 1-800-686-1526, and have set up a handy website, as well. Small businesses (fewer than 25 full time employees with an average wage of $25,000) may be eligible for a tax rebate if they provide health insurance for their employees and pay at least 50% of the premium. The stimulus tax credit can be worth as much as 35% with the possibility of increasing to 50% by 2014. That sounds well and good but how long with those credits last? Good chance they are not permanent. Remember that oldie but goodie, Cash 4 Clunkers? Nationwide, customers snatched up 700,000 new cars, most of them foreign-made, and the government ended up paying out nearly $3 billion toward the purchases. Well that didn't turn out well, did it? But surely the stimulus money to trigger home sales went better. Buyers were enticed into the market because of tax credits that ended in April. As such, home sales zoomed and applications for mortgages flooded banks. So what happened after that money ran out? Of course the folks in DC have never been accused of being in touch with real life. It makes you wonder if there is Thorazine in the water up there. So wonder what will happen when those tax credits for health insurance expire? If I have to paint a picture, you must work in Washington. The folks at SBA have promised us a link to the archived version of the program, and we'll post that when it comes in. In the meantime, I can recommend the Prepare My Business site unconditionally. "The House ... approved a six-month plan to prevent a steep cut in doctors’ fees paid by Medicare, agreeing to a short-term solution that Speaker Nancy Pelosi called “totally inadequate” but said the House had decided to adopt after concluding that the Senate was hopelessly gridlocked and could do no better." AKA "Kickin' it down the road." Or, as our resident Medical Office Manager has previously noted, physicians' "revenue cycle has been a roller coaster this year; I cannot count on revenue coming in in a timely manner." "Additional results from our survey find that even with a temporary action, physicians say they will be forced to limit the number of Medicare patients they can treat. Our new survey shows that if Congress enacts a short-term delay of four to seven months, 54 percent of physicians say they will limit the number of Medicare patients they can treat. Even if Congress enacts a three to five year delay of the cut, 48 percent will limit the number of Medicare patients they treat." According to the HHS Sebelius, the Patient Protection and Unaffordable Health Care Act (Obamacrap) put's "women in control". the Affordable Care Act is the best women's health bill since Medicare. Given that Medicare is essentially broke, is this supposed to be a good thing? Once Obamacrap is fully implemented, everyone will pay more. Absent all the other goofball provisions of Obamacrap, if the only thing the law did was call for unisex rates, it would mean that men would pay more than under the prior system. The reason for the current rate differential is simple. Women use health care more than men and typically have higher cost procedures. So the higher premium is justified based on utilization. Charging men more for less usage is supposed to be an improvement? Being a woman is no longer a preexisting condition! This change goes into effect 9/23/10. In the interim carriers have floated suggestions that children's rates will double over current rates at a minimum and could easily triple. I attended a meeting yesterday where one agent planned to visit a local children's cancer clinic on 9/23 with applications in hand. He said clinics like this, many of whom provide medical care at no charge or on a sliding scale will be glad to see this new law. They will take that opportunity to move children from charity care to the insurance companies. You can bet that will happen in a heartbeat. Increasing current children's rates by 300% will be totally inadequate. Obamacrap is a Pandora's box and the public will learn very soon that this is going to be a Private Benjamin moment. "This isn't the health reform I voted for. I want the one with the lower premiums, and free care." 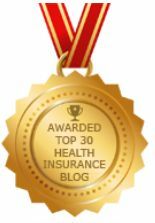 For the past several years, we've been featured as one of the Lexis-Nexis Top 50 Insurance Blogs. This is quite an honor, and we've proudly displayed the "badge" proclaiming our status. The folks in charge are in the process of refreshing that list, and we've been nominated for "re-election." As part of the process, they're asking for input from the blogosphere. 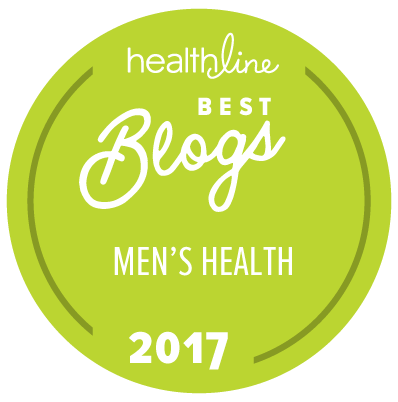 We would really appreciate our readers letting Lexis-Nexis know why they find InsureBlog worthy of remaining in that Top 50. To do that, you'll need to leave a comment; it's easy and only takes a minute. First, click here to logon to your free web center account (don't worry, it's free) Then, scroll . . . all . . . the . . . way . . . down to the bottom of the page, fill in your name, type your comment in the box and press "Add". The comments period ends on July 6. Thanks so much, and we'll let you know how things go. Brad Wright does a great job presenting the best posts on health care policy and polity (and I'm not just saying that because we snagged the coveted top spot). The focus this time is on research, from "the medical home" to defensive medicine, ObamaCare© to Rwanda. You only need to know two things. If you want it covered, it will be. If you want health insurance, rob a bank. It appears that he represents Allstate, but we won't hold that against him [ed: we kid! 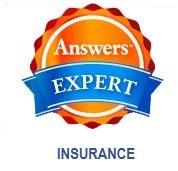 ], and is a Certified Insurance Counselor (CIC). In 2006 the residents of Massachusetts passed their own version of Obamacare (Patient Protection and Unaffordable Health Care Act) which has been dubbed "RomneyCare" by many of the states citizenry. We have been given a report from the Robert Wood Johnson Foundation that is a somewhat glowing endorsement on the success of RomneyCare. The 4 page report is an easy read and does a good job of providing fluff in an attempt to say that RomneyCare has accomplished the goals it set out to do with minimal downside. In promoting the so-called success of RomneyCare the folks at RWJF seem to be saying Obamacare should also be an improvement over status quo. Some of the accomplishments of RomneyCare include 96% (or more) of the states residents now have some form of health insurance. This is above the national average of 85% insured. Only 1% of the states residents were assessed a penalty for non-compliance with the state mandate that everyone have health insurance. Sounds to me like there are some Libertarians in this blue state. The report claims gains in coverage for low income individuals and minorities. It also acknowledges some areas that need improvement such as a need for more PCP's (primary care providers) and a way to control the overall cost of health care. The PCP shortage is attributed to doctors who are unwilling to take new patients or the provider does not accept their type of insurance. Almost all doc's limit the number of Medicare and Medicaid patients due to the low reimbursement levels. Given that RomneyCare expanded the number of people on Medicaid it is not surprising that docs would limit or refuse new patients. The states proposed solution for the doctor shortage is to expand medical school enrollment for those willing to go into primary care by providing incentives (including loan forgiveness) for new enrollment. Of course you can't produce a doc over night so don't expect the number of providers to increase any time soon. Even if they do graduate more PCP's where is the guarantee they will be willing to load up on Medicaid patients? And where will these incentives come from? The state doesn't do anything to generate income independent of collecting taxes. So the incentives will come from the most productive residents who are already paying a hefty amount in taxes. As for the other concern, rising health care costs, they have a somewhat novel idea. Their solution is to change the way providers are paid and shift to a single payer system that will dictate how much providers will be reimbursed for services. I am sure the docs and hospitals won't have any trouble at all accepting that move. The state does admit they can't do this alone and would rely on "strong federal leadership on health care payment reform". Yeah, that's it. Make the feds institute cost controls. They do acknowledge it will mean less income for some providers and there will be fewer choices for consumers, but in the end the best thing is for everyone to bite the bullet and take one for the team. And the folks in DC feel this is a good thing. You're doing a helluva job there Barry. Risk Management: Is Your Business Prepared? 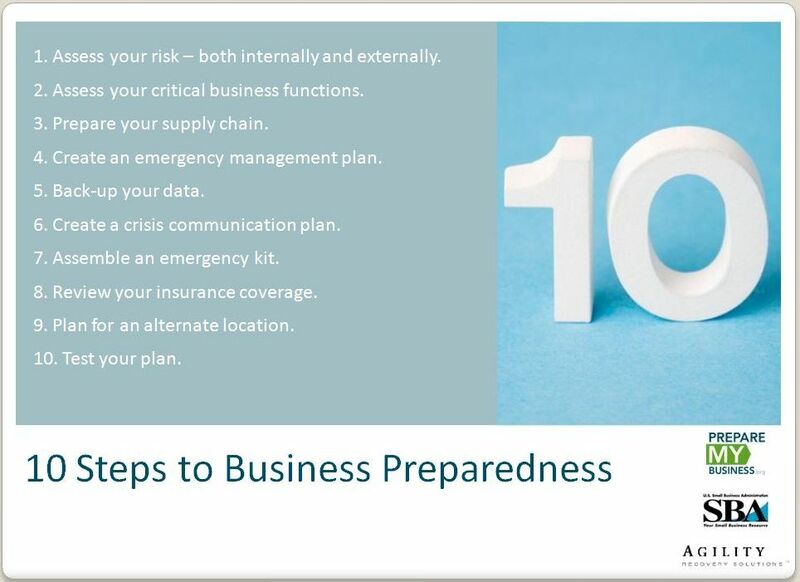 "Disaster planning and preparedness can be your lifeline to staying in business. With proper education, planning, testing and disaster assistance, you will be able to stay in business through any interruption and beyond." Says the Small Business Administration, which has a brand new online resource that can help you identify and manage catastrophic risks. Called 'Prepare My Business,' this site is easy to navigate and chock full of tools, educational materials and helpful links that could turn your potentially devastating loss into a business that weathers the most violent of storms. In fact, the SBA is presenting a webinar on this critical subject this afternoon (2PM Eastern, June 22). Click here for details and to register. ■ Smaller disasters, such as server failure, burst pipes and fires however happen every day. Companies often prepare for the worst but forget the everyday challenges, which can be just as crippling. ■ Testing your continuity plan is the best way to ensure that your business will remain in operation no matter what. 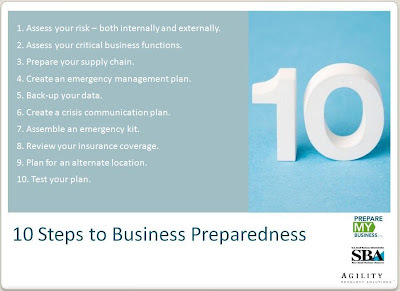 ■ There are many resources available, including information to help you prepare ahead of time, free sample emergency plans, business preparedness checklists, and templates. Deb Gordon hosts this week's roundup of medblog posts, focusing on customer service issues. Very interesting. One of the most oft-repeated lies, er, promises in the run-up to ObamaCare© was that, "if you like your plan, you can keep your plan." "The guidance states, in summary, that employer-sponsored health plans will lose their grandfather status if they significantly cut benefits or significantly increase out-of-pocket spending for employees ... What remains to be seen, however, is what losing grandfather status means to employers in terms of how much their costs would increase by having to comply with additional mandates in the law." As we've noted before, it's more likely that employers will opt to simply pay the nominal fine. The reality, of course, is simpler still: regular readers know that employers don't pay for health insurance now, so the true costs of any increases are going to be borne by their employees regardless. It's really just another tax on working folks (because Lord knows we don't pay enough taxes now); whatever costs they aren't saddled with will of course be passed on to the consumer. The reality is that, since ObamaCare© does nothing to rein in the costs of health care, premiums for health inurance will have to increase, and some benefits will have to be drastically reduced or go away altogether. Coupled with the loss of risk-related underwriting (aka "guaranteed issue"), there are precious few alternatives. Pragmatists (and/or cynics) may see an end-game here, but I'll let readers draw their own conclusion. Related: Oh, you can keep your doctor, too. According to the Department of Health and Human Services (HHS), Protected Health Information (PHI) is "(i)nformation your doctors, nurses, and other health care providers put in your medical record ... Conversations your doctor has about your care or treatment with nurses and others ... Information about you in your health insurer’s computer system," even most billing information that providers might have on hand. For providers (and insurers, as well), keeping this private information, well, private is a big deal. "Anthem Blue Cross recently learned of a situation in which a small number of individuals ... gained unauthorized access to certain private information." They did this by hacking the online tool that one can use to track the status of one's insurance application. The irony is that, according to the email that hit my inbox this morning, the "vast majority of the manipulation and the resulting unauthorized access occurred at the hands of certain attorneys ... conducted to support a class action lawsuit ... over the very breach they were committing." The carrier has now "made the necessary security changes to prevent it from happening again." As a goodwill gesture (and, perhaps, to mitigate the potential damages caused by the unauthorized access), Anthem will "will (offer) identity protection services for one year at no cost" to those affected by the virtual break-in. "After a week of partisan wrangling, the Senate on Friday passed legislation to spare doctors a 21 percent cut in Medicare payments looming for months. But the last-ditch effort came too late." At issue is the fact that, although the upper chamber voted to temporarily extend last year's reimbursement rates, its little brother can't approve its own version until (at least) next week. And since our august legislators lost their little game of chicken with the 21% cut in those rates, CMS has no choice but to process claims from the last few weeks under the drastically lower numbers. As our favorite Medical Office Manager noted earlier, her (and presumably her colleagues') "revenue cycle has been a roller coaster this year; I cannot count on revenue coming in in a timely manner." Now she can't even count on what that revenue will be. Never fear, though, all these providers will have to do is to resubmit each and every claim, and wait with anxious anticipation for those additional dollars to roll in. Meanwhile, the "D'oh! Award" goes to the AMA, which opined that the "continuing financial uncertainty may lead some doctors to stop taking new Medicare patients." "In order to protect the new national health care law from legal challenges, the Obama administration has been forced to argue that the individual mandate represents a tax -- even though Obama himself argued the exact opposite while campaigning to pass the legislation." 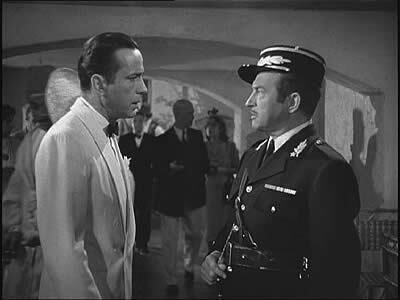 Whoa – The Obamaman lied about ObamaCare©?! Well, not really, since we had already made that call early on. This is a significant development, though, because it not only puts the lie to claims that the mandate is not in fact a tax, but that it is an unprecedented one, at that. Until now, taxes were levied on things we bought or owned, but this is a tax on merely existing. Unlike the red herring that auto insurance is mandated, being taxed because one demurred from participating means that you'll be taxed simply for being a living American. I used to joke that these folks would tax the air that we breathe if only they could; turns out, this piece of ObamaCare© does just that. If there's a bright side, it's that as more and more "clarifications" come forth, an overwhelming majority of Americans want this train-wreck repealed. It remains to be seen, of course, whether or not that translates into action, but it's a hopeful sign that folks understand just how bad this is, and that the pro-ObamaCare© forces are being forced to defend the indefensible. "The assumption was that there would be no actual cut. But we all know what happens when we assume ... If it does not pass, then CMS will process all claims from June 1 on based on the reduced 2010 fee schedule." The Washington Post is now reporting that "[t]he Senate effectively rejected a slimmed-down package of jobless benefits and state aid late Thursday ... The measure would protect doctors from a steep cut in Medicare rates scheduled to take effect [today]." The bill would also have extended the notorious COBRA/ARRA subsidy, which has since expired. Are we on the verge of seeing actual financial discipline out of Poppa Washington? Doubtful, but hope (and change?) springs eternal. If you want to know how Obamacrap will flesh out you can get a good idea by looking at what is already happening in the Georgia health insurance market. Just in the last two months, Georgia health insurance companies have made the following changes. Two companies have withdrawn maternity coverage. If you want a Georgia health insurance plan that covers maternity, you have two choices. If you live outside of Atlanta, you have one choice. Some companies were offering multi-year rate guarantees in exchange for a "buy up". No more. If you wanted to lock in rates for up to 3 years you should have bought in April. Another health insurance company issued (for some of their policyholders) their third rate increase in the last 12 months. They also pulled some plans off the market and discontinued brand name drug coverage for some of their existing policyholders. When asked about this move their response was, if someone wants to continue coverage for brand Rx they can go back through underwriting. I'm sorry, but that response doesn't cut it for me. And let's not overlook the fact that a few Georgia health insurance companies have indicated they will no longer issue coverage on children that are not included on their parents plan. That's about it for what has happened already. Now for a glimpse of things to come. Every major carrier that issues health insurance in Georgia has announced that rates will be much higher in the fall. Part of that is due to the children's health insurance mandate in Obamacrap that will take effect in September. The rest is in anticipation of stricter regulation of rates and loss ratio's going forward. I would not be surprised to see new business rates jump 20% in the 4th quarter for plans that match current plan designs. Which leads to the other shoe dropping. At least one company has indicated all new plans will arrive on the scene in October. The good news is the rates will be lower. The bad news is some benefits currently available will be eliminated as a plan option. This company will no longer offer maternity benefits on plans issued in October, 2010 and later. They will also limit where you can fill your prescriptions to one pharmacy. If you choose to go elsewhere you are on your own. More than one Georgia health insurance company has indicated several of their new plans will not cover any brand name drugs at all. If you opt for a plan with brand Rx coverage expect to pay more. Most of the companies have been silent on what will happen to children's health insurance rates when the next phase of Obamacrap phases in during September. I had lunch yesterday with representatives from one company and when pressed they indicated children's rates will probably increase about 20%. I was shocked. I really thought premiums on children's plans would at least double. Then they said the increase would be on standard rates only. Children with pre-existing condition that are required to be covered under Obamacrap could see their rates increase as much as 150% over standard rates. These are changes affecting Georgia policyholders. If you live in another state your mileage may vary. When he died at the ripe old age of 81, Empire State attorney Arthur Kramer left behind a sizeable estate, including over $50 million of life insurance purchased in the waning years of his life. The twist? "Investors, not relatives, would collect upon the death of the prominent attorney"
Now, we've covered this subject before, but it bears repeating: there are good and sufficient reasons to sell (or buy, depending on one's perspective) an in-force life insurance policy. But there are dangers here, as well, some of which may play a part in how this story is ultimately resolved. For one thing, it appears that, in New York, death certificates aren't a matter of public record, and thus not available to the average citizen (or, specifically, the investors who bought Mr K's policies). Without such a document, the insurance company won't release the funds (i.e. pay off), depriving these investors of their return. And the carrier is not only within its rights to do so, but really has no choice, legally. Absent that document (or acceptable proxy, if any), there's no way for the insurer to confirm that the deceased is actually, you know, deceased. In this case, the poor widow, seeing those dollars flowing away from her purse, simply refused to release a copy of the certificate to the investors. And again, she's well within her rights to do so: after all, she wasn't a party to the sales contract, and thus has no obligation to abide by it. "Her late husband, she alleged, had arranged deals with investors that skirted a state "insurable interest" law, which says people can't procure life insurance on someone they aren't close to." This is a gross misstatement of how "insurable interest" really works. She may have a more tenable claim in her assertion that "state law prohibit(s) taking out a policy on your own life and immediately transferring the rights to an investor, never intending the policy as protection for your loved ones." Now that's a court-worthy question. "From 2004 to 2008, tens of thousands of older people sought to make some fast cash by taking out multimillion-dollar policies on their own lives and flipping these to brokers, who resold them to investors like hedge funds and investment banks." That's potentially thousands of policies that may end up in legal limbo while the extant cases wend their way through the judicial system. But it seems to me that the answer is really simple: if, as has been the case for hundreds of years, life insurance is property, then one has the right to buy and sell it based on market forces. I have a feeling that it won't be that simple, though. Lagniappe: While I admire The Widow Kramer's tenacity, I can't help but think that she made the wrong play here: that death certificate is worth $56 million to "the investors;" surely the two parties could have come to some mutually beneficial - and private - agreement. My Wealth Builder presents this week's roundup of risk-related posts, helpfully split into two general categories. "Meat and potato diet 'reduces risk of lung cancer by half"
Turns out, there's a vitamin, present in high doses in foods like meat and potatoes, fish and even whole grains that can have a profound effect in reducing the risk of lung cancer. Just cutting out the cigs isn't enough, though: piling on the burgers and taters could reduce the chances of contracting lung cancer by an amazing 50%. The secret ingredient: Vitamin B6. "Paul Brennan, of IARC [the International Agency for Research on Cancer] ... rejected suggestions that people should take supplements to boost levels of the vitamin. "We have had several bad experiences in the past with supplements. Twenty years ago, beta-carotene was given to people with lung cancer and found to increase, not decrease, deaths. I doubt if trials with supplements will go ahead." "...it appears that the American Community Mutual Insurance Company has hit the skids. According to email from a reliable source, the carrier has entered into a consent agreement with the Ohio Department of Insurance. Under the terms of the agreement, no new business has been accepted from Ohio beginning December 23rd." Now comes word that its former rival, UnitedHealthcare's Golden Rule Insurance Company (Golden Rule) has "won" the exclusive right to take over AC's "book of business." This is actually the ideal solution for policyholders (as opposed to "the other way"); policyholders who choose to do so can make the switch to Golden Rule with no underwriting or lapse in coverage. Two additional items of note: first, I had been under the impression that Anthem pretty much "ran the show" in the Michigan market; that UHC aced them out for this makes me go "hmm." And second, it's not clear whether or not agents who wrote the original AC business will continue to receive commissions on it once their insureds make the switch to Golden Rule. "More than 3,000 patients are dying every year because of short staffing in hospitals at weekends." In fact, a recent study found that more Brits die due to understaffed hospitals than accidents, primarily because there's a shortage of experienced physicians. "Just weeks ago, another study found the out-of-hours GP service was not fit for purpose as trusts were not checking whether stand-in doctors could speak English properly and even whether they were medically competent." This on the heels of a visiting German doc who, on his very first shift, managed to kill a senior citizen. The underlying problem is that the service just doesn't pay enough for experienced physicians to work a weekend shift. There's an easy fix, though: just be sure to put off "heart attacks, heart failure, stroke, some cancers and aortic aneurysms" until Monday. Those who ignore the past are doomed to repeat it . . . but only if you are paying attention. The folks who crafted the Obamacare health insurance scheme thought it would be a good idea to copy a small scale version that was introduced in Massachusetts not even 4 years ago. Romneycare is a mere toddler but is already looking like an old man. The folks at CNN are reporting there are lessons to be learned from the past. As the news article reports, Obamacare and Romneycare share similarities. Both expand Medicaid roles. Both provide taxpayer subsidies to those who buy health insurance in the open market and both require citizens to buy health insurance. Both plans required health insurance companies to add expensive new benefits. Obamacare and Romneycare require health insurance companies to issue coverage to anyone, regardless of existing medical conditions. These are all viewed as features, not flaws. But what have the residents of Massachusetts experienced since the introduction of Romneycare? Lesson 1: The Massachusetts plan does not control costs. When Massachusetts launched its reform program in 2006, it already had the highest medical costs in the nation. Today, the burden is still rising far faster than wages or inflation, from those already lofty levels. A report from that state attorney general in March--remember, this is a Democratic administration--asked rhetorically "Can we expect the existing health care market in Massachusetts to successfully contain health-care costs?" The report concluded, "To date, the answer is an unequivocal 'no.'" Likewise, neither does Obamacare control the driving force behind rising premiums. The only "cost control" is the decision to penalize doctors who treat Medicare patients by paying them less. Lesson 2: Community rating, guaranteed issue and mandated benefits swell costs. How did costs in Massachusetts get so big to begin with? A major reason is the adoption of guaranteed issue and community rating in the mid-1990s. The new federal bill would expand those rules to the entire nation. If it didn't work in a state with a population of 6.5 million why would anyone expect it to work for 340 million people? Crickets chirping . . . Lesson 4: The exchanges reward people for working less and earning less. Data is lacking on how damaging these perverse incentives are in practice. But it's clear in Massachusetts that low-to-medium earning families often suffer financially if they get a raise, work overtime, move to a higher paying job -- or if a spouse rejoins the workforce. For example, a family earning $33,000 pays no premium at all under Commonwealth Care. But if their pay goes to $46,000, they're obligated to contribute about $2,400. That's an effective tax rate of 18.5% on that $13,000 raise. A pay increase of $44,000 to $46,000 is mostly erased by higher premiums alone. If you provide incentives that encourage laziness you should not be surprised at the outcome. By penalizing achievers with a higher tax burden the system is basically encouraging people to work and earn less. Lesson 5: The generous plans and added mandates give employers an incentive to drop health insurance. In charting the future of healthcare costs, the biggest danger by far is that companies will drop their coverage. It's also the one that's the most difficult to handicap, both for Massachusetts and the entire nation. The problem is simple: If employers stop paying for health care, employees will flood into the government-subsidized programs, enormously raising the cost to already fragile budgets. Is any of this resonating? If you like the plan you have you can keep it. That is, unless the government does something stupid like making it less expensive for employers to pay a fine rather than provide health insurance. Washington reminds me of Star Trek. "No signs of intelligent life here. Beam me up Scotty!" Steve at The Funky Heart blog hosts this week's non-themed collection of the best medblog posts. From music as pain relief to the latest on Flex Spending Accounts, you're sure to find something to make you go "hmmm." So you REALLY thought you could keep your insurance? Ha! "Internal White House documents reveal that 51% of employers may have to relinquish their current health care coverage by 2013 due to ObamaCare. That numbers soars to 66% for small-business employers." "...an early draft of an administration regulation estimates that many employers will be forced to make changes to their health plans under the new law ... What we are getting here is a clear indication that most plans will have to change." And of course these "changes" (in actuality, additional mandated benefits) will increase premiums, not decrease them, forcing employers to seek cuts elsewhere, and consumers to consider the more attractive alternative. "In order to avoid "adding one dime to the deficit", Obamacare ... had to play shell games with the funding. One way was to cut pay to doctors who treat Medicare patients by 21%. In doing so they stripped billions out of the cost of Obamacare by projecting a $200 billion savings ... The game plan was to add those billions back in via a separate bill termed "doc fix." Of course, this "savings" was anything but, since the trick was to just add those dollars back in under a different budget line. The assumption was that there would be no actual cut. But we all know what happens when we "assume:"
"President Barack Obama is asking Republican lawmakers to approve billions of dollars in new spending to avert a scheduled 21 percent cut in payments to doctors who treat Medicare patients." It's interesting that, as usual, PresBo is attempting to make this a Republican problem; last time I looked, it was his party that controls congress (and its purse strings). In other words, he decided to play chicken with the lives of some of our most vulnerable citizens, and then blinked. On the one hand, the folks pushing ObamaCare© want us to believe that it will add nothing to the (record breaking) deficit, while on the other doing nothing to actually control costs. The result is that they failed to plan for the very real possibility (now reality) that their little legerdemain would fall flat. Faced with mind-boggling debt, responsible legislators simply put up the stop sign. It's true that both parties have played this game before, but it's also true that the stakes have never been this high. That's what you get, one supposes, when "you have to pass it to see what's in it." UPDATE: In the comments, Bob mentions that he "was under the impression the Medicare cut went into effect 6/1 when Congress went home rather than voting another extension. The doc fix was supposed to be part of the COBRA subsidy and unemployment benefits package." "On June 1st the extension of 2009 fee schedule ended and the 2010 fee schedule, with a 21% percent cut went into effect. However, CMS suspended processing all claims for 10 business days, that is until June 15th, in the hope that Congress would again, for the third time this year, extend the 2009 fee schedule. For example, it was extended on January 15 to April 1. Congress did not extend in time to stop the April 1st deadline and CMS held all claims the first 10 business days in April. At the last minute, the extension was passed for June 1 and now we are in the same situation we were in on the first of January and again on April 1 of this year. At this time, it does not look promising that the bill will pass. If it does not pass, then CMS will process all claims from June 1 on based on the reduced 2010 fee schedule. My revenue cycle has been a roller coaster this year; I cannot count on revenue coming in in a timely manner." you can keep it. Unless of course it is no longer available . . . This may have been part of the master plan all along, to make it almost impossible for employers and individuals to keep what they have. But in my opinion that is giving the folks in DC way too much credit. I don't think they are that bright. This is the same crowd that thought it was a good idea to give everyone a mortgage, regardless of their ability to pay it back. I don't think they have become any smarter in the interim. But if this was their plan all along, to crush the life out of the private health insurance market, they have grossly miscalculated the backlash. One large employer in Atlanta has already told their employees to get ready for fewer choices, lesser benefits and higher payroll deductions starting next year. I doubt they are alone in that position. * The plan eliminates benefits related to diagnosis or treatment of a particular condition. * The plan increases the percentage of a cost-sharing requirement (such as co-insurance) above the level at which it was on March 23, 2010. * The plan increases the fixed amount of cost sharing such as deductibles or out-of-pocket limits by a total percentage measured from March 23, 2010, that is more than the sum of medical inflation plus 15 percentage points. * The plan increases co-payments as a total percentage measured from March 23, 2010, that is more than the sum of medical inflation plus 15 percentage points or medical inflation plus $5. * The employer’s share of the premium decreases more than 5 percentage points below what the share was on March 23, 2010. That pretty much eliminates almost any plan from being covered under a grandfathered provision. Welcome to the world of Obamacrap. Smaller cars, fewer health insurance choices, Poppa Washington. No problem, though, because you have a complete, accurate and up-to-date home inventory, safely secured off-site. You do have such a useful and necessary list, right? "A home inventory will help you purchase enough insurance to replace your possessions and can help speed the claims process and substantiate losses for income tax purposes. To make this task simple, the I.I.I. offers free, Web-based software and information on how to create and store your inventory at KnowYourStuff.org." Just click on over to the KYS site, sign up and sign on, and get to work. Bonus hint: Make sure to print out a copy for your homeowners insurance agent, too. That way, you'll have multiple, off-site copies and he (or she) will be able to help you assess whether or not your adequately covered. First New York, now Pennsylvania. Gov. Ed Rendell has launched an investigation into the state's nine largest health insurance companies to help find out what's behind recent rate hikes for small businesses. Gee Ed, here's a clue. Some insurance companies are using tools, including questionnaires, to find out if small-business employees have pre-existing health conditions. Then those businesses are charged higher premiums. Golly, and some (actually all) banks are using things like credit scores before making a loan. Those with scores below the Mendoza line are actually charged higher rates and fees. I suppose if you can't cut it in the real world you become a politician where intelligence and common sense are not required skill sets. In Part 1, we learned that group health carrier nHealth believes itself to be the first corporate casualty of ObamaCare©, but that this may not be accurate. We also learned that there are more issues here than may be obvious to the casual reader, and attempted to identify them. First up, I did hear back from the nice lady at the Virginia Department of Insurance [ed: actually, they call it the Bureau of Insurance, but we're sticking with "Department"], who had more insights into both the Guaranty Fund and the nature of the "wind down" of nHealth. For openers, the specific process here is called a "solvent runoff" (as opposed to what normally happens when a carrier hits the financial skids). The Department has been (or will be, it wasn't clear) in contact with the policyholders and agents. One thing that I was able to confirm is that nHealth's policyholders will not have recourse to the Guaranty Fund (that's important: we'll discuss why in a moment). Second, my contact told me that a copy of "the order" would be sent to policyholders and agents, but I could find no such "order" anywhere on the Department's web page. I had also asked whether there were any "financial issues" that might be the cause of the shut-down (as opposed to anxiety over ObamaCare©), and was told that this was "confidential." That's bothersome: it seems to me that, although nHealth is (was?) a privately-held company, the actions of the Department of Insurance in this case are, by definition, a matter of public record. Which brings us to the issue of the (non-)Guaranty Fund. In "normal" circumstances (e.g. bankruptcy), policyholders of the defunct carrier can access the state's life and health guarantee fund much as savers access the FDIC safety net. But that's not the case here: after 11:59PM on December 31st, any insureds on claim, and still covered by nHealth, will see their benefits closed off, with no recourse to, well, anything. The Guaranty Fund won't help, and the company will no longer exist. That has nothing to do with ObamaCare©, and everything to do with the apparently feckless folks who decided to voluntarily "shut it down." "[nHealth co-founder Paul] Nezi and other investors helped fund the company out of the gate with a $12 million investment." The article goes on the tell us that the nascent company has been unable to up that initial capitalization. The problem is that, given the existing marketplace, and the increasingly growing footprints of "the big boys," that $12 million proved woefully inadequate. Couple that with what appears to be a top-heavy administrative function (50 employees to service just 100 groups? ), and you have a recipe for failure. On the one hand, kudos to Nezi and company for at least trying to increase competition, and especially for focusing on consumer-centric health plans. But it seems to me that this attempt was doomed from the git-go; ObamaCare© may have been the final nail in the coffin, but that grave's been dug for quite a while. Final answer: I call BS. The boys of summer are back and in New York the squeeze play is on. Only this involves state regulators and insurance carriers, not baseball teams. Lame duck coach David Paterson is in the dugout and with two strikes on his constituents has signaled for a suicide squeeze play. New York already has some of the highest health insurance premiums in the country, thanks to extreme regulation which stifles competition. Health insurance premiums are community rated (strike one) and guaranteed issue (strike two) . . . a deadly combination. Community rating has variations but basically it boils down to charging healthy people more, a LOT more, to subsidize the high cost associated with extending coverage to those with expensive medical conditions. New York is also a guaranteed issue state. Health insurance carriers are therefore required to issue coverage to anyone who can fog a mirror. This is like telling banks they must make a loan to anyone who walks in the door and charge the guy with "A" credit the same rate as the fellow with a string of loan defaults and is out of work. So what is NY doing to make it harder for residents to find health insurance at any price? Gov. David A. Paterson has signed legislation that gives the state the power to block what it deems unreasonably high health insurance premium increases for millions of New Yorkers. The new law, which covers about three million people enrolled in small-employer or individually purchased plans, requires insurance companies to apply to the state Insurance Department before they can raise premiums. The state then has 60 days to determine whether the rates are justified. To the casual observer this may seem like a victory for consumers. In reality, it is even more justification for the handful of carriers offering health insurance in NY to exit the market. The governor and consumer advocates said the law would slow down rampant premium increases, which they said had forced many small businesses and individual policyholders to drop their insurance, driving prices higher as costs were spread over a smaller pool of customers who tended to have high health care needs. The governor is an idiot and so are the "consumer groups" that support this measure. This is like the state telling hospitals and doctors they cannot raise their rates without prior approval. Wonder how many medical practitioners would close their doors and move to another state if that happened? This is an incredibly stupid move by Coach Paterson. What he has done is call for a suicide squeeze when his team is trailing in the bottom of the 9th and there are two outs. Over at Boston Health News, Tinker Ready serves up chowdah garnished with wonkery. Good to the last drop! Are Mini-Meds on the Chopping Block? "As with so much of ObamaCare©, this one's going under the bus, as well ... savvy folks will avoid buying major medical insurance altogether, opting instead for the much less expensive "penalty" (i.e. "tax"), secure in the knowledge that they can easily pick up coverage later." "If you have a low premium, low cost insurance plan, you are going to lose your coverage and be forced into a much higher-cost plan. The Politico piece specifically finds this problem in the mini-med market, where as many as 1 million people will lose their coverage under Obamacare." It's estimated that some 1 million people currently own one of these plans; many of them have no other choice. ObamaCare©'s guaranteed issue provision doesn't kick in for another three-and-a-half years, and - as Bob has pointed out - the ObamaPools are (at least so far) non-starters. If and/or when they actually do become available, a lot of people on the low-end of the economic spectrum may find them unaffordable (especially as compared to their current premiums), thus adding to the ranks of the uninsured. According to John Ferguson, an expert on limited-benefit plans (and whose company has been marketing them for a number of years), the folks playing Chicken Little may be premature. John points out that, as far as mini-meds are concerned, "everything is an opinion now ... [and we] believe we are filed in all the right ways to stay in the market." John explains that "[w]ithin the limited medical industry there are two styles of limited medical benefit plans: co-insurance (sometimes referred to as co-pay-based or expense-incurred) and indemnity-based (sometimes called fixed indemnity) insurance. Fixed-indemnity-style limited medical plans that do not issue creditable coverage letters or represent themselves as a “true group health insurance plan” are exempt from the new regulations because they are considered supplemental-insurance-based limited medical plans." The plans based on the co-insurance model, however, will most likely be the ones headed out the door. At this point, of course, no one knows how many of each type are in force, so there's no way to gauge the ultimate impact. Regardless, I have no doubt that at least a few folks, and perhaps many, will lose their existing coverage as a result of these changes. And so another ObamaCare© promise bites the dust, but that's hardly a surprise.